One of our daughters took the train home from college this weekend. She said she was missing mom’s home cooking and the quiet of the country. We are always thrilled to have her home and I was up to the task as I whipped up some of her favorite foods. 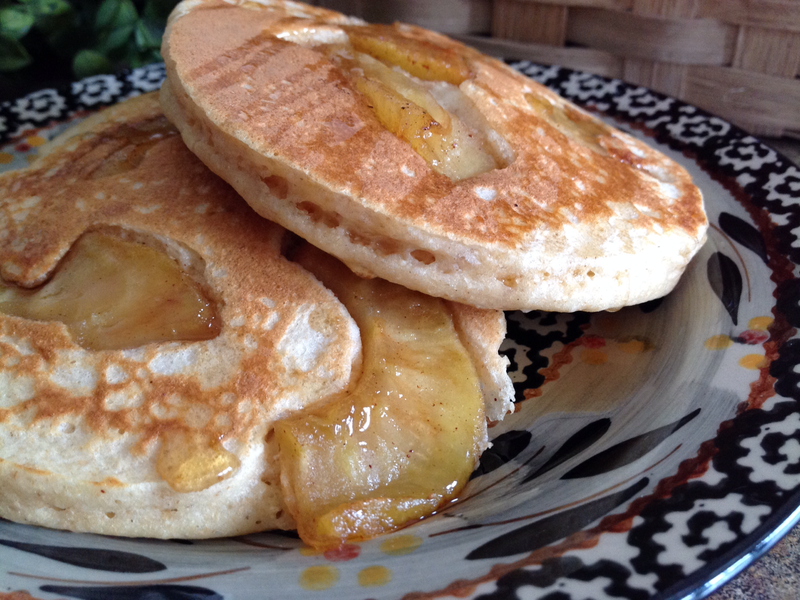 Her request for oatmeal pancakes had me thinking of a new combination of flavors that I knew she would love. 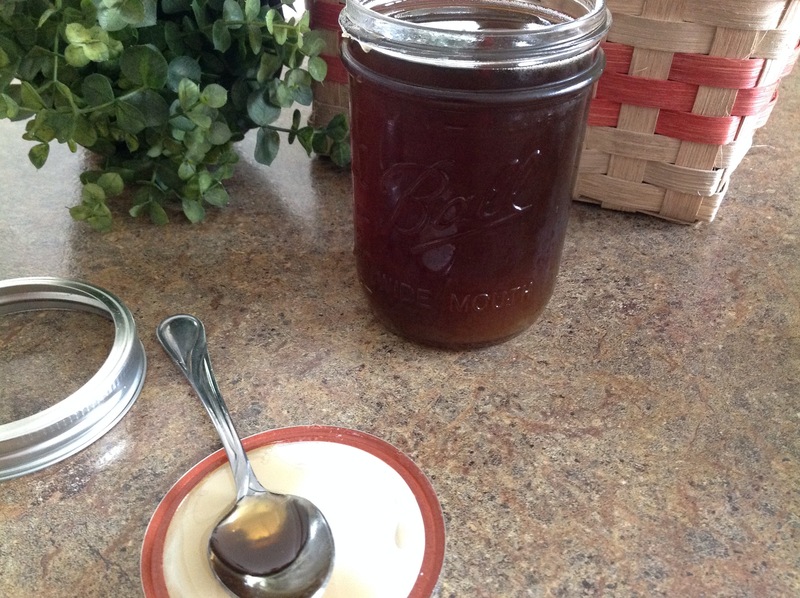 I had just made a batch of homemade applesauce and my husband had several jars of pure maple syrup that he had processed after tapping our maple trees this spring. 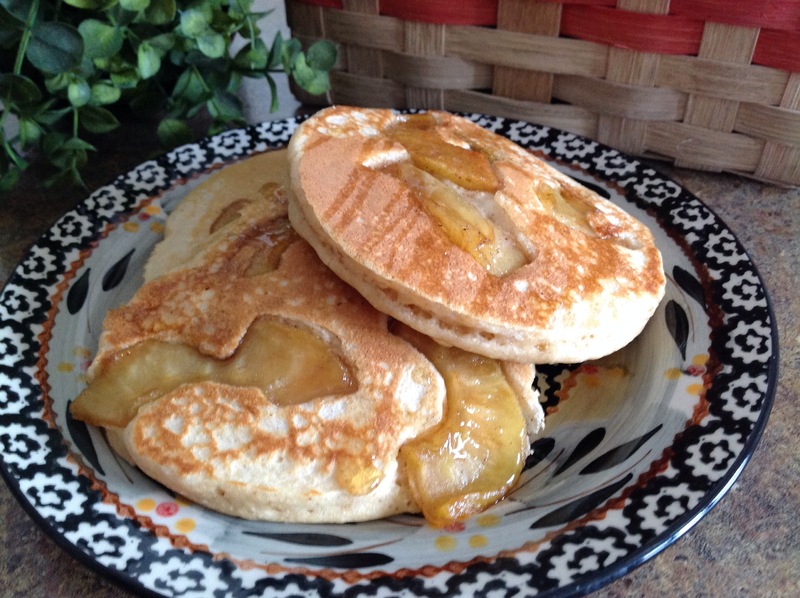 I quickly mixed up the batter for the pancakes and as they cooked on the griddle, I carefully added some of the cinnamon applesauce. 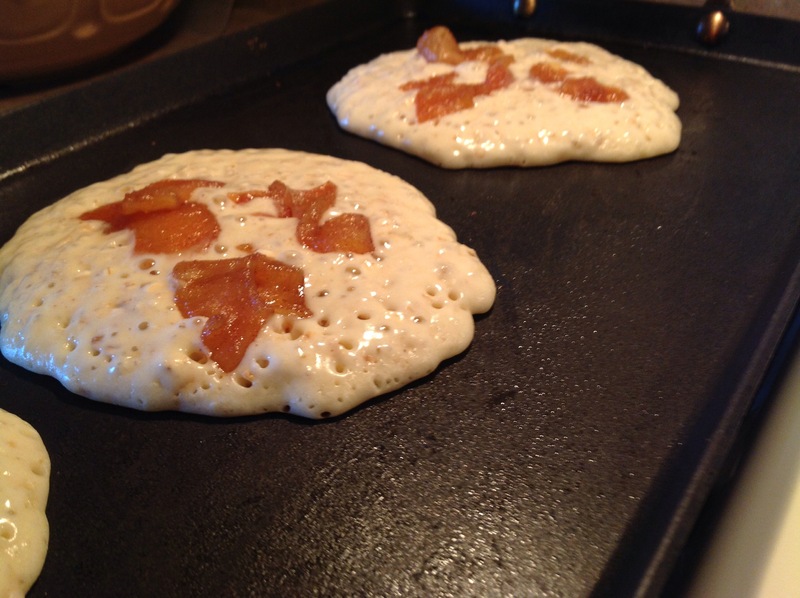 A quick flip of the pancake to finish the underside, and they were done. I made several batches so that she could bring a few back to school when she returned on Sunday. I received a lovely text when she arrived back in Evanston. A big thank you with lots of “heart” emojies covered my screen. She said that she was having the pancakes for dinner. Somehow, I think she’ll be having them for nearly every meal until she finishes them up. Then she’ll be back to eating the ole’ college favorites of pb&j, canned soup, and boxed macaroni and cheese. Combine oats, flour, sugar, baking powder and salt in a mixing bowl. In a separate bowl, combine eggs, milk, oil, and extracts. Stir into dry ingredients; just until moistened. Pour batter onto lightly greased, hot griddle. Flip pancakes when bubbles form on top of pancakes. Continue to cook until underside is golden brown. 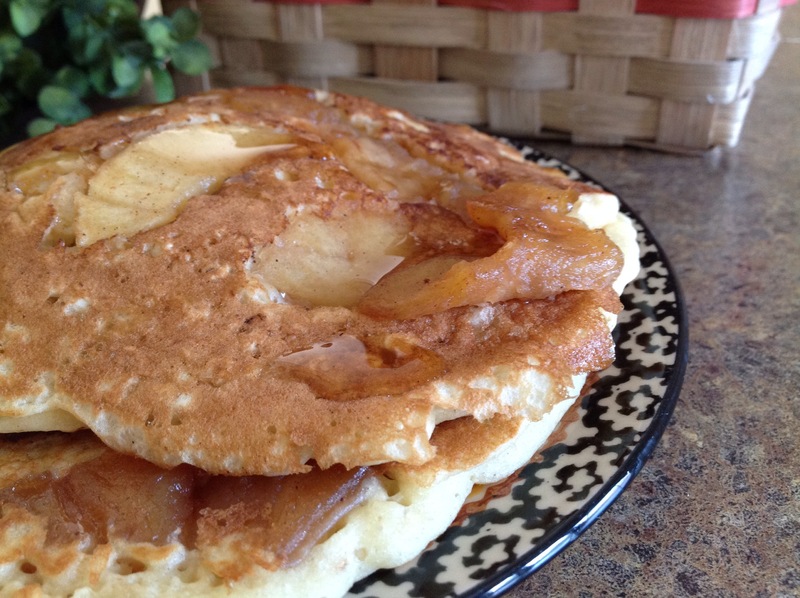 In a large pot, combine apples, sugars and cinnamon. Cook over medium-low heat for about 30 minutes; while stirring occasionally. Remove from heat; stir in vanilla. Mash apples to desired consistency. Refrigerate until ready to serve.